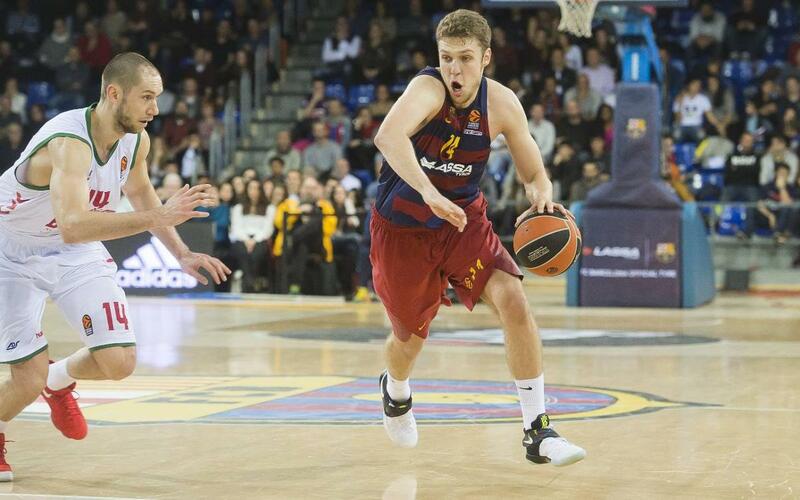 FC Barcelona Lassa have lost to Baskonia who were ruthless in attack and deserved their win (79-93). The blaugranas have been beaten by a team who were on top form whilst Bartzokas’ side weren’t quite firing on all cylinders, especially in defence. The game started with a great three pointer from Justin Doellman, but 11 unanswered points from the visitors opened up the first gap in the scoreboard. The Basque side’s dominance was broken by another Doellman three pointer and the Barça Lassa player was the best on the court in the first ten minutes with a personal tally of ten points. Slowly, the blaugranas closed the gap and ended the first quarter with a score of 21-20. At the start of the second quarter, Barça took the lead through a Koponen three pointer. The blaugranas were flying high and in control thanks to a dominant Faverani under the basket and Baskonia's repeated fouling. The two sides stayed close on the scoreboard with both teams scoring freely. When it looked like the opposition were moving too far ahead, Vezenkov took control. The Bulgarian scored a total of 12 points, won three rebounds and he got Barça back on level terms with Baskonia (40-40). However, in the last few moments of the second quarter the Catalans lost concentration and allowed the Basques to open a ten-point gap (53-43). After the break, Barça were lacking rhythm and they were struggling to impose themselves on the game. The lack of accuracy was overcome with two consecutive scores from Faverani and Rice but the away side’s three pointers kept them in the lead. Alfonso Alonso’s men didn’t let up and they kept attacking with intent with Budinguer particularly prominent. The Basque’s accuracy was impossible to keep up with and they ended the third quarter with a dominant 20-point lead (83-63). In the last quarter, the blaugranas tried to cut the distance, with Moussa Diagné marking his debut with a great smash. The pivot was one of the Catalans most involved players with eight points and five rebounds to his name but ultimately it was not enough. In the end, Barça succumebed to defeat to Baskonia in the 20th Euroleague fixture of the season. Bartzokas’ team play the Basques again on Sunday, this time in the ACB League.